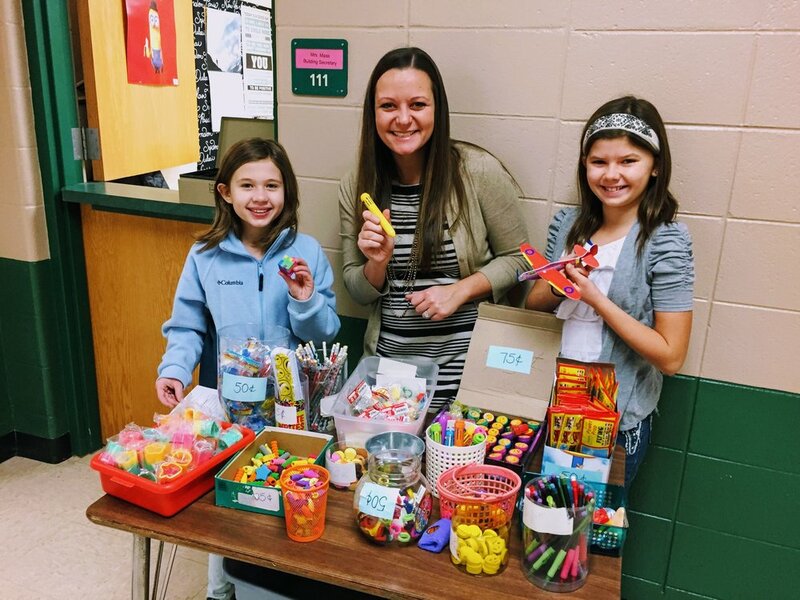 Student Government School Store is Open! 1st Day of our Student Governments School Store! This project gives students hands on skills in money management, giving change, reconciling their till, & customer service! i4L's School store will be open each Tuesday starting @ 8:40 if your student would like shop. This store supports our Student Government Sponsored Events throughout the year! Reminder - Wreath & Poinsettia Sale Pick Up Tomorrow!